Are you getting ready to buy a home in Spain? Want to make sure you keep it safe and secure at all times? Whether you already own a home in Spain or you plan on buying a home soon, chances are that you want to do everything you can to protect it. Though burglaries can be rare, it's still important that you take precautions to protect your home to the best of your ability. 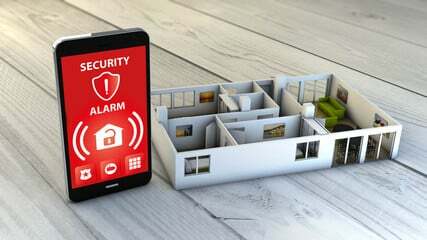 Below we'll look at the top home security tips you need to know about to keep your Spanish property safe and sound. If you own a home in Spain, it's crucial that you have great locks in place. Keeping your door locked up securely is the first step toward protecting your home. If you just bought the home it's a good idea to replace the locks immediately. It's hard to know how many keys there are out there floating around for your home. Once you do have great locks in place, it's important that you keep it locked, especially when you're asleep or when you're away. In addition to the doors of your home, don't forget about the windows and gates to your home as well. Aside from installing great locks, another thing you'll want to do to protect your home in Spain is to protect your keys themselves. It's better to have a few keys that you can keep your eyes on than to make too many and risk losing one or having one stolen. You should also be careful about where you place your keys. If you keep your keys hanging just inside your door or within access to a window, thieves could potentially take your keys by reaching in with a tool while outside. Additionally, if you have a spare key make sure that you put it in a secure place that isn't easy to guess. Don't put your key under your front doormat or in another place that is too obvious. Installing an alarm system is also a crucial step towards improving the security of your home. A monitored security system or surveillance system can be a great investment and can help keep your home free from intruders. A security company will be able to monitor any activity and call the police if there is a problem. If you do have an alarm system, also make sure that potential criminals will know about it. Make sure any cameras are visible to them. If you do you'll likely ward off many would-be thieves. Improving the visibility of your home is also a key step towards scaring off potential criminals. A home that is easy to see from the street will be less likely to be hit by burglars since they won't want to risk getting caught. Make sure you install some outdoor lighting around your front door, your driveway, and other vulnerable areas. If you have shrubbery and other obstacles directly in front of your door, you may also want to remove it so that it will be easier for suspicious activity to be noticed. Keeping your Spanish property safe doesn't have to be difficult. However, you do need to take a few measures to ensure that your home is as secure as possible. Make sure that you consider the tips listed above if you want to keep your property protected. Ready to find your Spanish dream home? Click here to see our Spanish property buying guide now.